For those who didn’t follow the trial, it is important to understand that the alleged Google map search is the only evidence worth discussing, which is why I’m spending so much time writing about it. There was no DNA, fibers, fingerprints, muddy shoes, tire tracks or eyewitnesses. There was only the Google map search, which was obviously planted on Brad’s IBM Thinkpad computer. There is no other explanation for all of the strange things associated with those files. There were many other things in this case that also pointed away from Brad being guilty and they will be discussed in time too. This isn’t the most interesting topic to write about…. computer files, timestamps, cookies and event logs, but it’s so important to understand it because a person was sentenced to life in prison based on this alone. Imagine losing your spouse in a shocking, tragic way and then days later having your kids ripped from your arms through an unjust custody ruling while at the same time being accused of murder from the very beginning, even though your spouse had only been missing for a few hours. You would probably be thinking that you have nothing to worry about because you know you are innocent, right? You would trust that you would soon be eliminated as a suspect since there couldn’t possibly be any evidence against you. A few months go by as the investigation progresses and you are asked (and agree) to a custody deposition so you can finally get your kids back, but the deposition is actually an intrusive interrogation (which I believe was orchestrated by the Cary Police via the custody attorney) that clearly has nothing to do with your abilities to parent your children. A few weeks later you are indicted, and you can’t possibly imagine how this could happen because you know you are innocent. You are locked up in prison, still not understanding why you were arrested. Many months go by and you finally learn that the evidence against you is a Google map search. You would probably be thinking “I didn’t do any search like that. They can’t possibly prove it.” Your attorneys find the most qualified expert to look at the files and he finds proof that tampering occurred and proof that the computer files were indeed planted. Even though you have been sitting in prison for over two years you would probably remain hopeful, knowing you had the truth on your side and the data to support it. Imagine sitting though the trial and listening to the prosecutors and police make false accusations again and again that they are never able to prove. You would probably sit there waiting, knowing that your turn would come and your expert witness would reveal the truth about the fabricated evidence against you. But that turn never arrives because the judge won’t allow it to. He refuses to let the expert discuss the only evidence that would clear you. Imagine how devastating that would be. This isn’t supposed to happen. We have trials so that both sides can make their case and the juries can hear ALL of the evidence from both sides. Imagine how you would feel hearing that guilty verdict, knowing that you are innocent and knowing that the only thing you can do is hope that an appeal is granted. I will write more about the evidence of tampering on the computer tomorrow. The drawing above (from a friend who has allowed me to borrow it) is a great depiction of this trial. I watched this trial from beginning to end. It was interesting to follow the WRAL blog, whose reporter Amanda Lang was writing a Brad Did It book even before the defense presented their arguments (new kind of journalism, I guess). But the BDI crowd slowly disappeared as the trial progressed, because the prosecution had no case (so they had no argument). Then the bizarre Google Maps search was introduced and voila! he was instantly guilty in their eyes. The BDI crowd returned in full force, but then they retreated again when the evidence appeared staged (especially after the defense witnesses spoke about computer tampering outside the jury’s presence). The prosecutors needed someone to “blame” for a crime that needed to be solved…to save the reputation of a police department who BOTCHED the investigation…and destroyed whatever EVIDENCE there might have been in the process…BRAD COOPER was railroaded….and the trial was a “cover-up” for the Cary Police Department and those who were involved in this case. Magoo conducted this “so-called murder trial” and brought so much to the North Carolina Courtroom…except justice and closure…it was more of a he said/she said…and gossip, hearsay, and gut feelings…and revealed the Coopers personal lives, along with information about the people they were associated with….Magoo did NOT allow the jurors to hear what was so important in this case…and what was important in how the investigation was handled. convict Brad Cooper…Perhaps this should have sent a message to the jury….but if so, it was ignored. 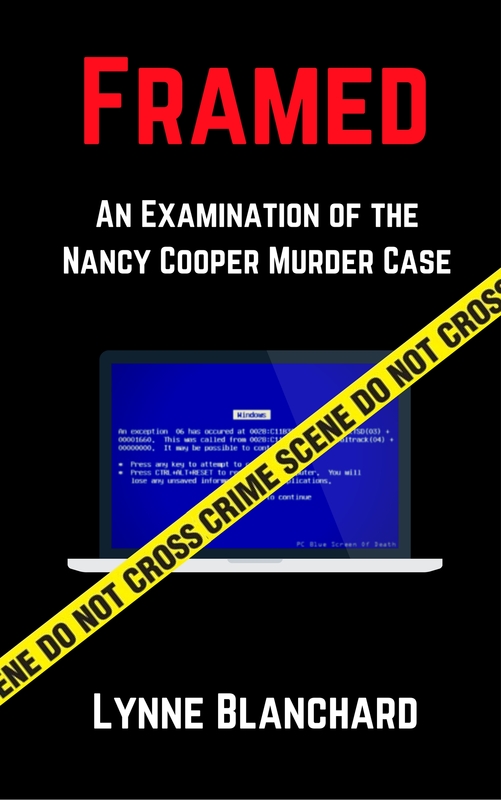 made using a zipcode in Raleigh, NC…nor in Cary, NC where the body of Nancy Cooper was discovered. So for now…we all wait…and wait…and wait…for the APPEAL…and hopefully a team of people who are bound to the JUDICIAL SYSTEM…which should be “FAIR AND JUST” to all. I watched the entire trial and it’s very disturbing that the only evidence they had was a google map search of the area where his wife’s body was found. The defense had evidence the files were planted while the computer was in police custody. Judge would not allow defense to present their evidence of it. He was convicted of Murder 1. Completely railroaded by police, prosecutors and judge. The time is here now that there are no longer fair trials and they can lock anyone up for anything, anywhere and there is nothing we can do about it. North Carolina almost succeeded in putting the Duke Lacrosse players away but luckily failed (after their parents spent millions defending them). But they did succeed in putting Brad Cooper away for life. I haven’t been around here much because this trial has consumed all of my time and attention and now my focus to bring this story some national attention.